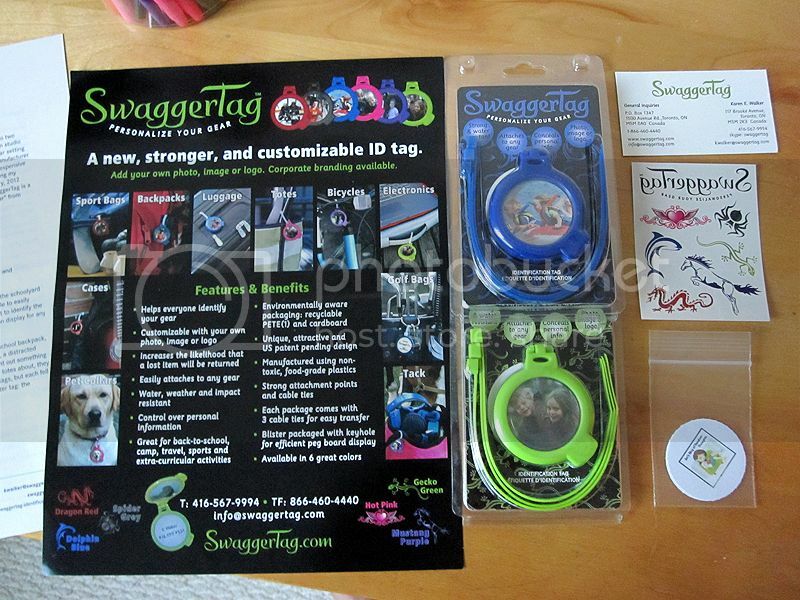 SwaggerTag ID tags are great for personalizing your belongings and easily identify your gear. My first reaction to these was that it was a clever idea. 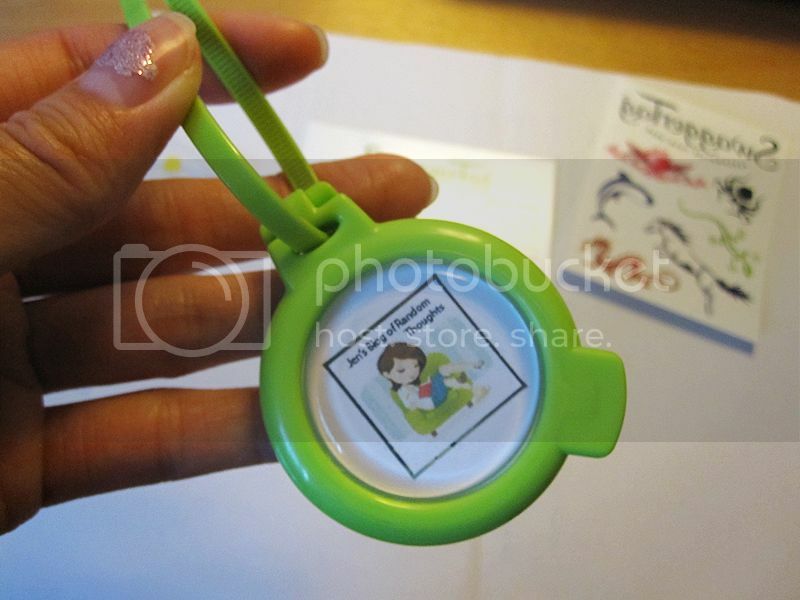 I really like the idea of adding a photo, logo, or any image on the tag. By customizing it, I can let people know it's my stuff. It's perfect for my backpack and luggage when I travel. When I see others with similar style luggages, sometimes think that someone else might take mines by mistake. I didn't want any passerby to see my personal information as well, so the flip tag was perfect. SwaggerTag reveals the information only if it is opened. It also works great as a dog collar tag. I love these because SwaggerTags are identification tags that allow us to reflect our own personality and help keep track of our gear, luggage and more! There are 6 colors available: dragon red, spider grey, dolphin blue, gecko green, mustang purple, and hot pink. Each package comes with 3 cable ties for easy transfer. 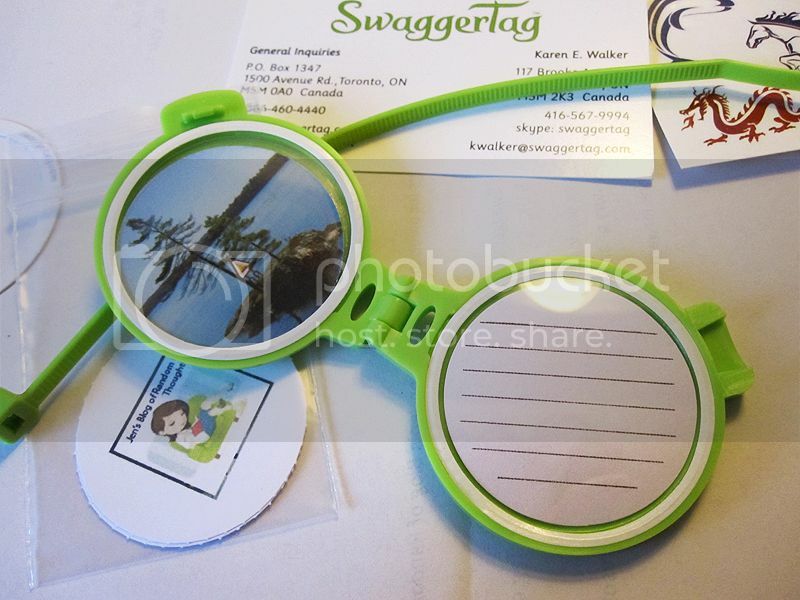 I received a green and a blue SwaggerTag for this review from Karen Walker, who is the inventor of these awesome tags. She also included a couple of printed labels of my blog button image. It was really nice and it looks great. 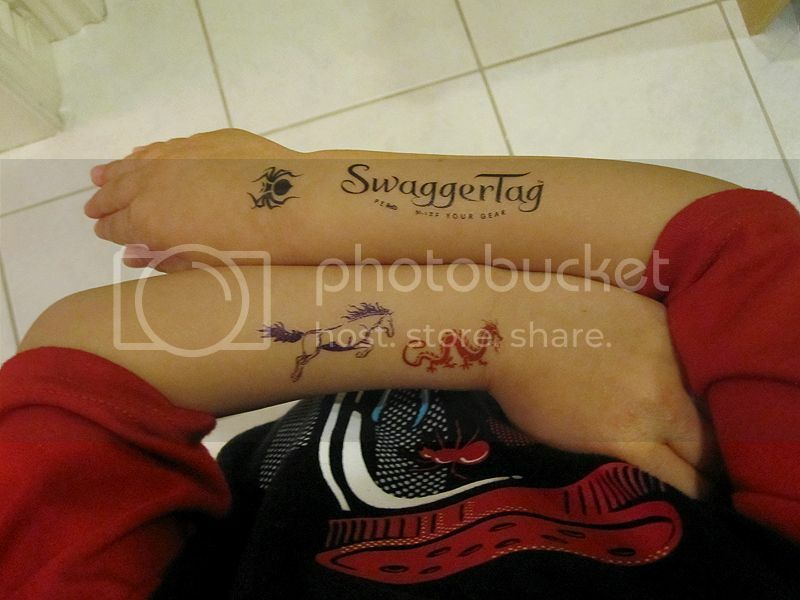 There was also a sheet of temporary tattoos of the vector images that represent the color names. My son is loving the tattoos! SwaggerTag is ideal for: backpacks, lunchbags, bikes, scooters, strollers, diaper bags, equipment bags, camping/hiking gear, sport bags, briefcases, luggage, coolers, tote bags, dog leash, wheelchairs, and anything that goes out the door. It is perfect for anyone who wants to keep track of their gear. WHERE TO BUY: SwaggerTags are available for $3.99 at www.swaggertag.com and at retailers through the US and Canada.